We have come together, seven students and me, to pray. We are making our way through a selection of the First Spiritual Exercises of St. Ignatius of Loyola, as adapted by Michael Hansen, SJ. Each prayer leads us into a deeper encounter with the Triune God – Father, Son, and Holy Spirit – and into a fuller awareness of God working in us and in our lives. 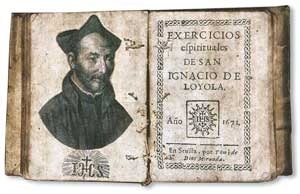 The First Spiritual Exercises began as the prayer journal of St. Ignatius. In his journal he recorded his questions, the graces he received from prayer, his favourite scripture passages, and notes that helped him progress along his spiritual journey. He later used his journal as an instruction manual for giving his prayer exercises to others. The First Spiritual Exercises are so called because they are the first exercises he gave to others and they are the first form of the full Spiritual Exercises, which are normally made during a 30-day retreat or over 30 weeks in daily life. 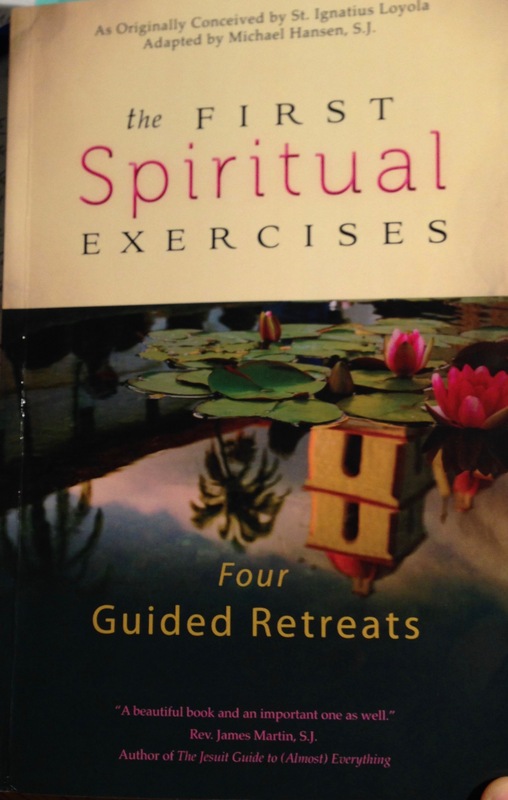 The First Spiritual Exercises are arranged into four four-week retreats that together form a complete version of the full Spiritual Exercises. The retreats respond to a foundational desire for inner peace as well as a particular desire for love, service, forgiveness, healing, freedom or divine friendship. In the five weeks that we have been praying the First Spiritual Exercises together, I have been amazed by the response. It has been a joy to pray and journey together through the exercises, and I have experienced abundant blessing from God through our prayer and spiritual conversation. I have received the gift of God’s presence in a unique way while praying in silence with others. Although I do speak at times, guiding the meditation with prompts for the exercise, there are beautiful stretches of silence where we can hear only the ticking of the clock on the wall. In that silence, even as we pray individually, we are joined as one and together we encounter God. At times, the presence of God seems almost tangible. God is with us, bringing peace and calm in the quiet. I’ve also received the gift of witnessing God at work in others. After we pray, using the meditation outlined in the exercise, we move into spiritual conversation, sharing a particular moment or experience in our prayer. I’ve been awed and humbled week after week by the sharing. I’ve felt such joy listening to group members describe how God spoke to them during their prayer, revealing something small or big about their lives and their relationship with God. Clarity about a decision that needed to be made, actions to take to heal a friendship, opening up to greater love for oneself. Each week I am reminded that God’s revelation in others and through others is profound and powerful. Together we are noticing the movement of the good spirit and the bad spirit during prayer, and we are beginning to discern the movement of the spirits over the whole of our five weeks (and counting) together. Lastly, I have received the gift, the ever-renewing gift, of noticing how God is at work within me. I’ve noticed deep joy from this experience of prayer together and the opportunity to guide and mentor others in prayer (and to be guided and mentored in return). I’ve also noticed moments of anxiety and uncertainty. I’ve grown closer to God as I grow in understanding of my vocation to religious life and possibilities for future ministry and work. As I prepare to make first vows, I am striving to be attentive to the movement of God within me, and through the First Spiritual Exercises, God’s presence becomes clearer and clearer. 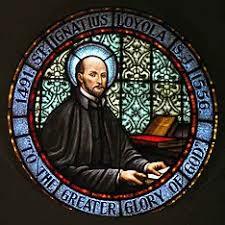 After each week’s gathering, I thank St. Ignatius for his attentiveness to the will of God and for his insights into the spiritual journey. – Ignatius to Rev. 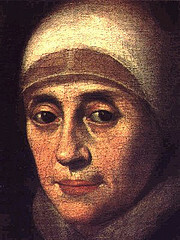 M. Miona in 1536. Categories: #IBVM, Ignatian Spirituality, Life at Loretto College, Novitiate | Tags: #discernment, #FSE, #IgnatianSpirituality, #prayer | Permalink. Sarah this is wonderful. Thanks for sharing how God works in us and others. The joy that you radiate is tangible. You really are blessed and true child of God.